Graduation is a momentous occasion, whether it's from high school, college, technical school, or post graduate studies. The rite of passage is an important one and many, many hours of effort went into the degree that is presented to a graduate. The special piece of paper conveys persistence, fortitude, knowledge, respect, experience, and technical proficiency. 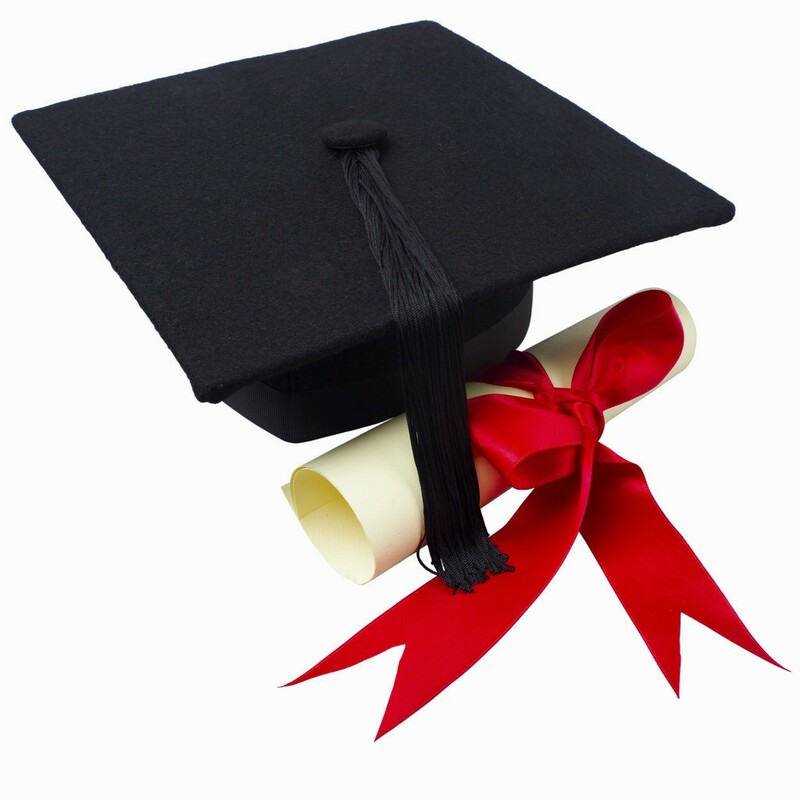 However, the degree or diploma itself cannot be taken everywhere with a new graduate. It is framed and mounted in an office or home to be displayed. This is why jewelry makes the perfect gift for a new graduate; give her something incredibly special to commemorate her achievements. Diamonds can be a girl's best friend ... and they can be the best gift! Strong, beautiful, and dazzling, the diamond bracelet shown on the top right of this page is everything your favorite graduate is. Show her how proud you are with a diamond bracelet graduation gift. The bracelet on the right is shown in beautiful 14k white gold with a whopping 3.20 ctw of diamonds in a fresh, fun, fashionable design that she can pair with her favorite jeans and cami this summer. It also makes an exciting accent to dressier corporate casual or evening wear. She's going to have to do a lot of networking to land a posh new job to go with her degree, so you might as well help her accessorize for it with something that will always remind her of what she can achieve when she puts her mind to it. If a bracelet isn't quite what you think she'd like, a simple, yet elegant diamond solitaire necklace is definitely the way to go. With a clean, graceful setting, this solitaire pendant would make a beautiful graduation gift. Shown at the bottom to the right, this diamond solitaire weighs in at 0.25 ctw and is set in 14k yellow gold for striking combination of sunny, warm gold and a bright, brilliant diamond. Isn't that just an absolutely fitting metaphor for your graduate? It's entirely possible that neither of these options are exactly the diamond graduation gift that you're looking for. If that's the case, have a look through our online catalog. Between our extensive selection of diamond bracelets, earrings, rings, pendants, and necklaces, and our incredible wholesale diamond prices, you're sure to find that special piece that celebrates her accomplishments and the love you have for her. Our associates are always willing to help you in that process, too. If you have any questions about any of our jewelry, don't hesitate to ask. At Intercontinental Jewelers, we love to share in the joy of life's milestones with you!